The choice of hairstyles is not an easy task for a woman. Because from it depends largely on the overall impression of others about looks ladies. Correctly chosen and performed cut can emphasize the dignity and hide flaws of a woman's face. If you are a lucky owner of an oval face shape, considered the ideal, you will suit absolutely any haircut. Women with a round face better choose hairstyle that has a line extends up from the ear level. The hair on the top of the head it is desirable to raise, leaving the sides only a small number of strands. Try to create an asymmetric silhouette with oblique bangs, oblique parting, slicked to the side hair. Asymmetrical haircuts are best to choose and women with a square face shape. They should prefer hairstyles with a raised hairline and wavy hair, oblique partings and hair, leaving the ears open. But from the long, thick bangs so women should be abandoned. If you have a triangular face, choose a hairstyle to its widest part located at the level of the lobes or of the middle ear. The perfect solution for you is the hairstyle with long straight or oblique bangs and curls on the crown of the head. But the haircut with the short bangs you are strictly contraindicated. Owners of a rectangular face it is better to choose a haircut that covers the ears and frames the face with strands of hair. Visually shorten the face can help thick bangs to eyebrows. Refrain from haircuts with vertical lines, and long straight hair. When choosing a haircut, not only to consider the shape of your face, but also take into account its features. If you have a long nose, choose a lush haircut with long lush fringe. Ladies with a turned-up nose better to wear my hair up. Owner of a small nose can safely choose the haircut with small curls without bangs. Consider when choosing the haircut and the quality of your hair. Women with unruly hair better choose a long haircut. 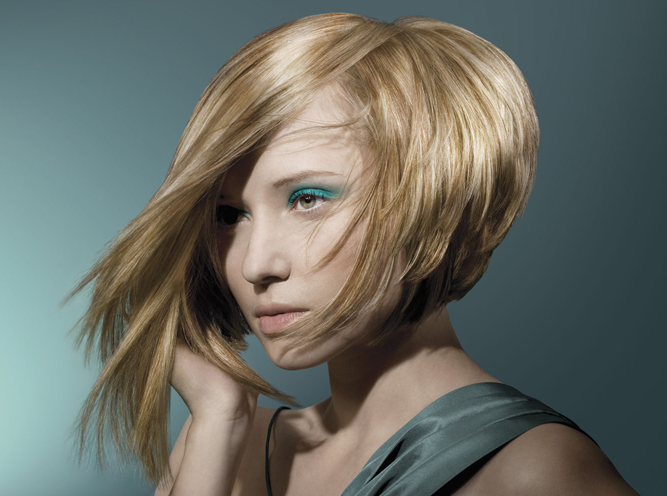 Owners of very thin hair ideal haircuts with volume milled strands. If your hair is thick and resilient, prefer smooth classic haircuts and refrain from thinning out.